This adjustable one-piece silhouette has a low scoop back a 80s-style high rise cut that gives you legs for daaaays. Can be worn over jeans as a bodysuit. 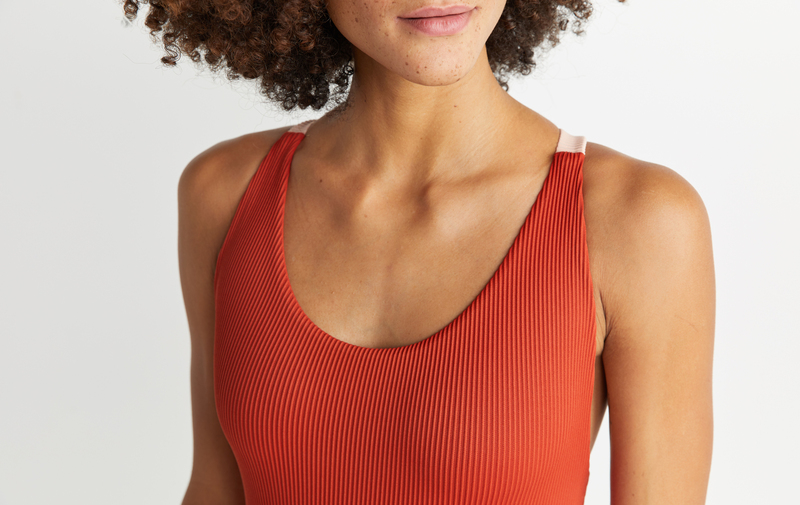 This new swim fabric offers sporty support with a silky feel. Ultra comfortable in and out of the water, and dries quickly once you're out. Basically, it's magic.